Paella is one of those simple one-pan dishes that looks impressive but is actually pretty easy to make (shhh don’t tell anyone). 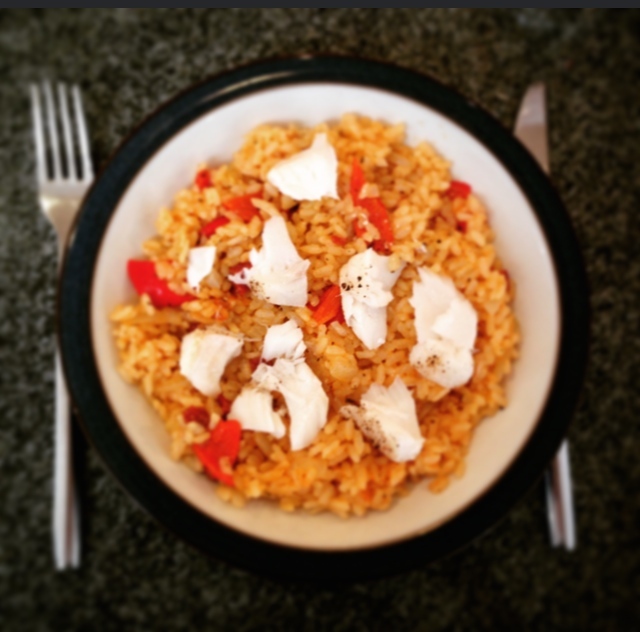 While you’ll usually see prawns or chicken in a paella, I decided to try something new and added oven-cooked Cod. This would work well with any white fish though so don’t worry if you can’t get Cod at the supermarket. 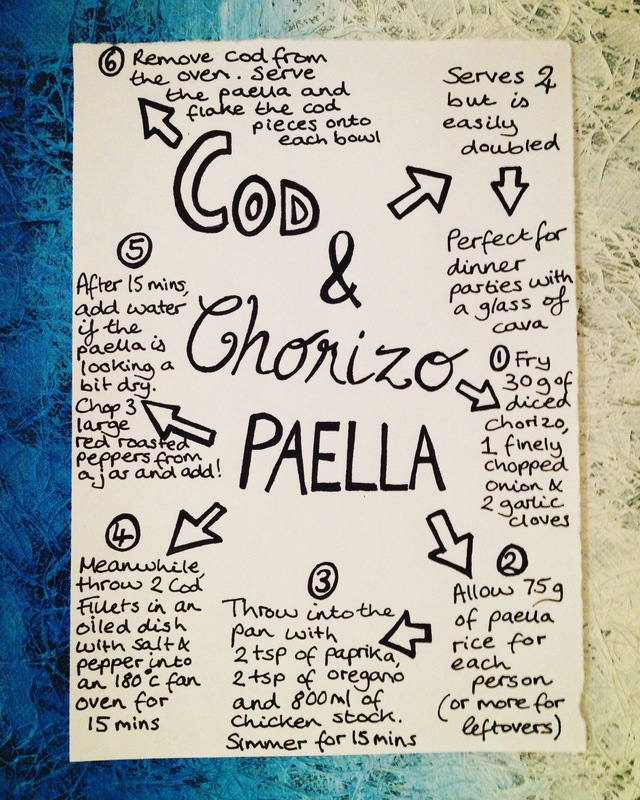 This recipe is enough to serve 3-4 but it’s easily doubled so would be perfect for a dinner party, paired with a Spanish Cava if you want to splash out. 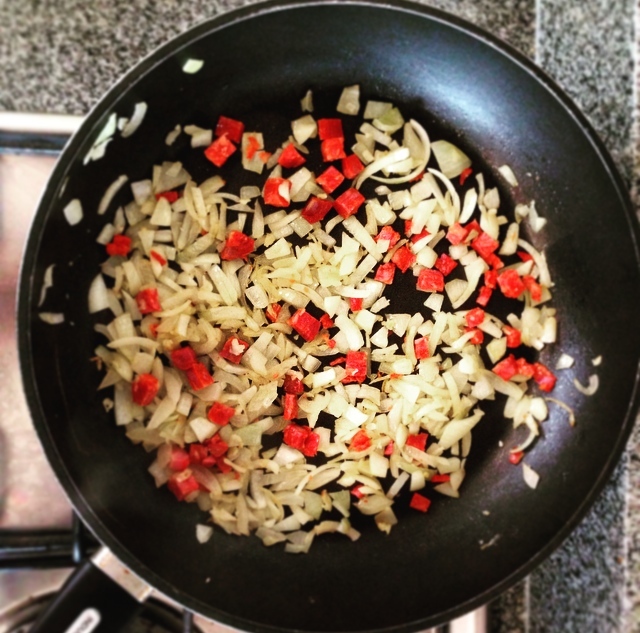 Fry the chorizo, onion and garlic in a deep oiled pan for 3-5 minutes until the onion has softened. 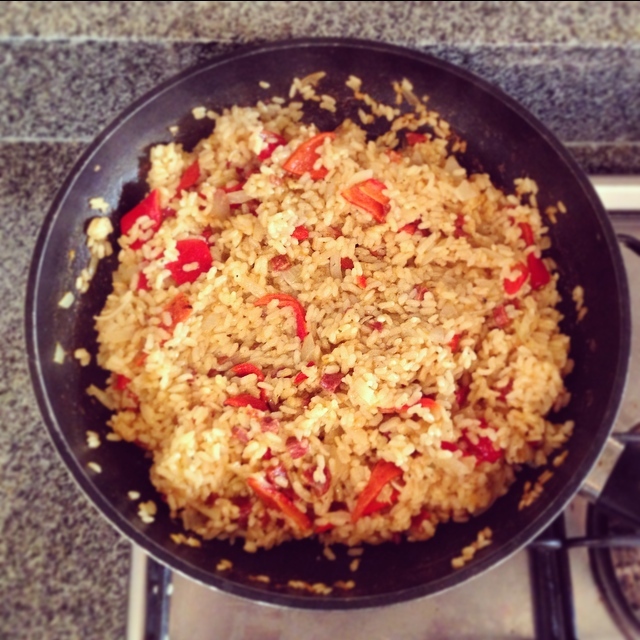 Add the paella rice to the pan and mix together, adding the paprika and oregano as well. Make up 800 ml of chicken stock and add it to the pan, leaving the dish to simmer for 15 minutes. Meanwhile, season the cod fillets and place them in a lightly oiled ovenproof dish in the oven for 15 minutes at 180 degrees Celsius (fan oven). After 15 minutes, take the cod out and cover with foil to keep it warm. Add the peppers to the paella and if it’s looking a bit dry, add some boiled water. Simmer for another 5 minutes. 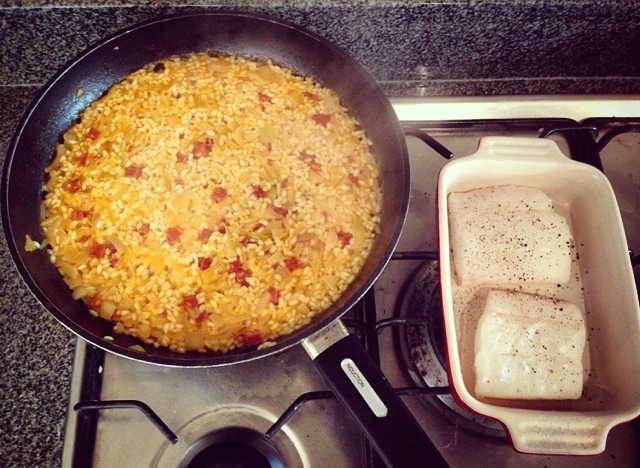 Flake pieces of the cod fillets into the paella dish and serve with some chunky white bread.